Most of you know that I accepted an invitation this year to write for Raising Homemakers. What you may not know is that I've been negligent in telling you when I post over there! My... I wrote a post nearly 2 weeks ago! It's still there... just buried behind other great posts you should consider reading, but you can also jump directly to Raising Daughters with an Entrepreneurial Spirit! In the future, I will make every effort to let you know in a more timely manner! 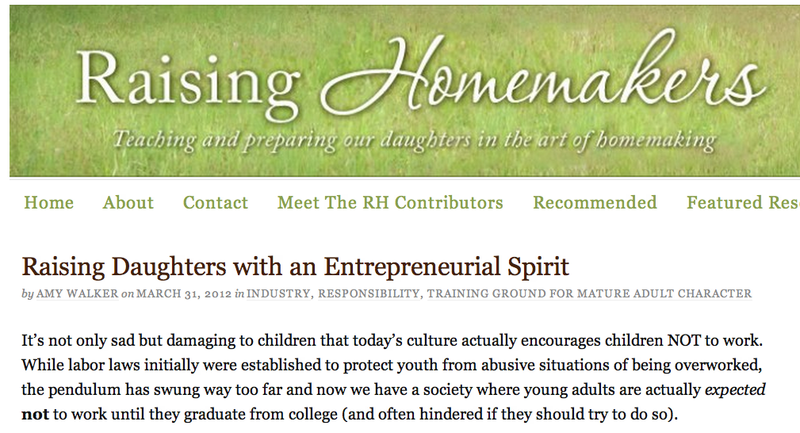 I'd love to hear what you think about raising our daughters with an entrepreneurial spirit.